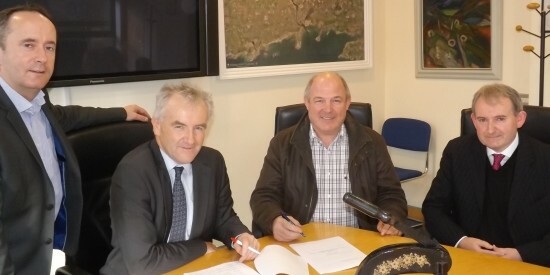 “Galway City Council today signed an agreement with Barna Recycling (formerly Barna Waste) for the provision of Household Waste Collection Services to all existing Galway City Council Customers. 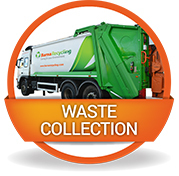 Barna Recycling will commence household waste collection, initially on behalf of Galway City Council for a Transition Period, from Monday, 25th November until 31st December 2013. Galway City Council will continue to manage existing customer accounts for the Transition Period. Barna Recycling will commence the management of existing customer accounts from the 1st of January 2014. Barna Recycling operates a state of the art facility at Carrowbrowne, on the outskirts of town that is fully equipped to manage recycling, compost and general waste. The company currently manages waste for over 60,000 household and business customers in Connacht.